DreamArts uses the arts to enable young people to realise their potential. We work with young people in London aged 7-25 to empower and inspire them to form stronger connections with each other, their families and build a greater sense of community. Our projects uncover and nurture their talents, whether in performance, multi media, or all-important life skills such as leadership and communication, with many going on to a career in the arts thanks to our links with London’s creative industries. 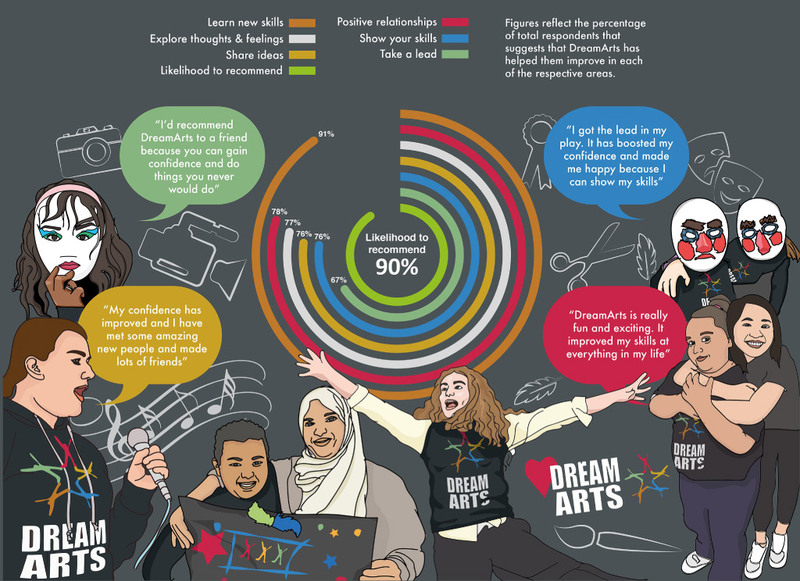 Young people achieve a range of creative and life skills through being part of DreamArts. Our projects give members a safe place; somewhere they are empowered to explore who they are, make positive life choices, and build positive relationships. Young people work with leading professionals to develop their dance, acting and singing skills. We support members to devise and run their own creative projects. Our pioneering creative and therapeutic programme for young people facing particular challenges in their lives. DreamArts is an agile and lean organisation; a small, experienced team consistently generates innovative ideas that are both proactive and responsive to the needs of inner city youth. Our core team are all directly involved in developing, managing and delivering our work. Graham helped found DreamArts, which grew from work he was involved with as a student at Pimlico School. A qualified Youth Arts Practitioner (WAC/Goldsmiths) and youth worker, Graham has spent two decades developing creative projects for young people. This include leading DreamArts’ Street 2 Stage New Musical Programme as a writer, director and facilitator for productions including Carnival – The Musical (Royal Opera House Linbury Theatre) and Can You Live Without it? (Cochrane Theatre). Graham trained in directing with Katie Mitchell, and his skills as a leadership trainer have been commissioned by University of the Arts, London, Arts Award, and Arts Council England. Graham was a founder and Director of SouthWestFest which grew to become Westminster’s biggest arts and community Festival. His writing credits include the book and lyrics for the UK’s first promenade musical based on the classic Ealing Studio comedy Passport to Pimlico, which received 5-star reviews and is being further developed with Hackney Empire. 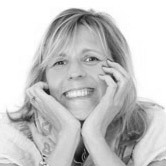 Anne-Marie is a qualified (BACP) Child Counsellor with a social care, youth work and management background. Her roles/experiences include: Residential Social work, Creative and Therapeutic Youth Arts Practice, Resettlement work, Strengthen Families Strengthening Communities Facilitation. She provides psychological and emotional support to children, young people and families using various arts forms, on a 1:1, parent-child and group work basis. She specialises in developing work that empowers young people at risk. Anne-Marie’s work has won an Intranet Award for making the internet a safer place and has been cited as best practice by the Department of Culture, Media, and Sport. 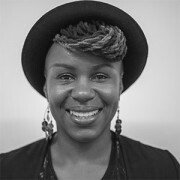 As a Dancer/Dance Teacher specialising African, Caribbean and Contemporary forms, her national and international theatre credits include: Paradigmz’s LDDT – London Diaspora Dance, Sheba Monserrat Productions, Muraldo DC, Stormforce, Patti Boulaye, Brekete and Frititi. TV credits: The Generation Game, Sir Paul McCartney music video. David has joined the DreamArts team as Project Producer of Experiment. David is a producer/director with over a decade of experience. 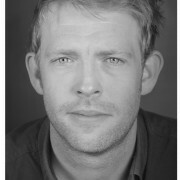 He has produced over 40 professional productions on 3 continents, from West End venues to the Edinburgh Fringe Festival. In 2011 David set up Blind Tiger Theatre, an actor musician company whose productions include the 2013 Riverside Studios Christmas show ‘The Little Mermaid’, which received a 4 star review in The Daily Telegraph. In 2013, David set up Fake Escape Theatre, a company that champions new writing initiatives working with underrepresented demographics aged under 30. 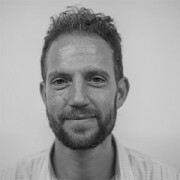 As a freelance producer, David has worked with Trafalgar Studios in The West End, Bath Fringe Festival, Bristol Pride and The National Theatre of China. As a freelance arts facilitator, David has worked with City of Bath College, Eton College, Prior Park College, and Boden’s Theatre School. David has also lectured in theatre at Bath Spa University and Rose Bruford College of Theatre and Performance. 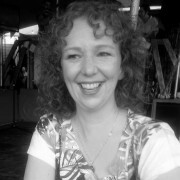 Gaynor has joined the DreamArts teams as the Project Manager for Carers Express and is also Creative Curator for City Lions. Our sessional team consists of leading creative professionals, experienced facilitators, therapeutic arts practitioners, and gifted support workers. 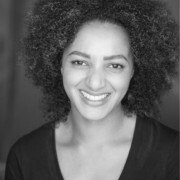 Natasha is a Canadian actor, deviser, facilitator and producer now living in London. She has worked with a number of arts education organizations in Western Canada, including Quest Theatre (Calgary) and Gateway Theatre (Vancouver), and has also facilitated therapeutic arts projects with Ronald McDonald House. In London, she is currently an Artistic Staff member at Chickenshed Theatre and she is currently completing her MA in Counselling and Psychotherapy. She is delighted to be joining the team at DreamArts! Abbey is an artist, photographer, videographer, dancer and jeweller. She developed many of her extensive creative skills as a young person working with DreamArts, and ran her first project as part of our Youth Arts Leadership Scheme. She has since become a core member of our Express Collective programme, empowering young people ranging from young women at risk of sexual exploitation to boys living on severely deprived estates. Maeve is the Director for the Experiment Saturday Creative Lab. She is a founder-member of one of the UK’s most successful longform improvisation troupes ‘Upstairs Downton’, and shortform group ‘LadyProv’. 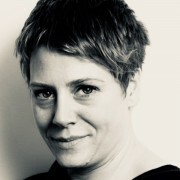 As a drama facilitator, Maeve has worked with Shakespeare Schools Festival, Almeida Theatre Outreach, Helen O’Grady Drama, Stagecoach Theatre Arts, The Hunt Academy Youth Arts, North London Schools Network, Scott Wiseman Youth Theatre, and for the TfL schools liaison programme. Acting credits include Peter James’ ‘The Perfect Murder’ (UK Tour), The Sea of Souls (Caribbean Tour), The Time of Your Life (Finborough Theatre; Icarus), Dance Hall Days (Riverside Studios), Under Which Flag? (Irish Repertory Theatre UK). Film: ’28 Weeks Later’ and ‘Viral’. Television: Lewis (ITV/Granada). Radio includes The Family Project by Steve Waters (BBC Radio 2). 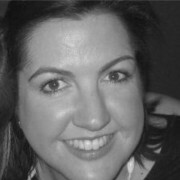 Maeve trained at Arts Educational, London; and has a BA in English, Sociology and Politics, and an MA in Drama and Theatre Studies from the National University of Ireland, Galway. 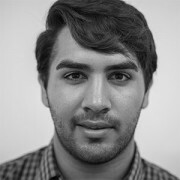 Kulraj is the Director for Experiment Sunday Creative Lab. Kulraj began his journey with DreamArts as a university placement student from The Royal Central School of Speech and Drama where he obtained his Bachelor degree honour in Drama, Applied Theatre and Education. In addition, he founded a theatre company in his local area for which he runs youth theatre sessions, schools and community based workshops, one-to-one sessions with young children suffering from severe illnesses. Kulraj also writes, directs and acts in shows. His aim is to use the arts as a way to help strengthen and develop communities and to achieve this Kulraj hopes to shortly embark on further studies to become a Drama Therapist. Chi-San trained in Movement at the Royal Central School of Speech and Drama. She began her career in movement with the award winning immersive theatre company Belt Up Theatre as their company choreographer. She then went on to co-found her own theatre company, Youaremine. which is supported by Theatre Delicatessen. 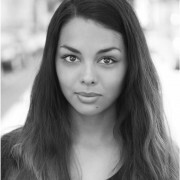 Maia studied at Brunel University and has a degree in Drama, Film and Television and an MA in Acting where she trained at Drama Centre London. Acting credits include 3X Winner of The Monologue Slam UK (Theatre Royal Stratford East), Marley’s Ghost (ITV Gold), The Fall (BFI) In the Robot Skies (BFI/Channel 4). 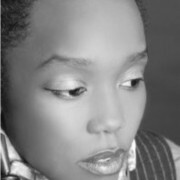 Maia also writes and produces her own short films which have been successful in film festivals. Callum is the Director for Experiment Performance Company. He trained at Rose Bruford College in London and the USA. For many years he was a member of the award winning Cut to the Chase… ensemble of actor-musicians under the direction of Olivier Award winning director, Bob Carlton. Since then he has worked all over the world as a performer, composed musicals for China’s National Theatre and as a playwright his work has been performed nationwide. 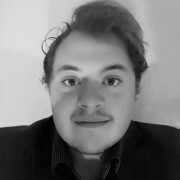 Callum is a co-founder of critically acclaimed new writing/actor-musician company, Blind Tiger, a contributing writer and musical director for the record breaking satirical show NewsRevue and an associate of new writing company, Fake Escape. As a practitioner, Callum is passionate about finding new voices and ways to talk about what it’s like to be alive and is thoroughly convinced that investing in the next generation is the most exciting thing a theatre-maker can do. 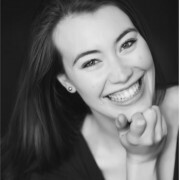 Alex started her journey with DreamArts as a placement student from The Royal Central School of Speech and Drama where she graduated with a degree in Drama, Applied Theatre and Education. 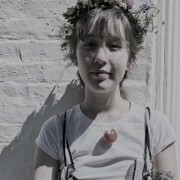 Alex works with the Performance Company on the Experiment project and has previously delivered Family Express projects. Across London Alex can be found teaching drama, street dance, and gymnastics with Dance Stables; running Story Painters craft club with Ingeenium, and working with the Kiln Theatre delivering a range of youth arts projects. Holly Khan is a multi-instrumentalist, composer and facilitator. 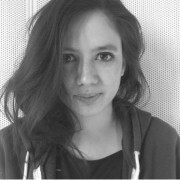 Her training includes a BA in European Theatre Arts (Rose Bruford) and an MA in Performance Making (Goldsmiths), where she specialised in composition for live theatrical settings. Her diverse approach to music making, and experience within theatre, means she has had the privilege of working in varied environments: creating workshops for mental health charities, dementia friendly programmes and SEN children. Producing improvisation, song writing and core composition workshops. At the heart of Holly’s practice is a strong notion of collaboration as she creates work for a multitude of different settings, using music as a tool to connect people. Our active Board regularly meet, visit projects, and develop DreamArts using their impressive range of skills which include; therapeutic practice, the creative industries, law, finance, governance, teaching, fundraising, and PR and marketing. Asif is a qualified Chartered Accountant with 18 years of experience. Having qualified with Andersen and Deloitte and worked with charity clients, he went on to work within their real estate and hospitality department in both Audit and Private Equity Transaction Support. 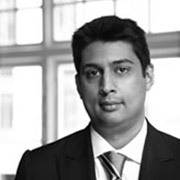 Since 2005, Asif set up his own accountancy practice. The practice is an all round accountancy firm and in addition to undertaking audits, Asif specializes in owner managed businesses, advising on corporate finance and real estate transactions thus bringing a wealth of business experience. Asif is committed to DreamArts as he has a passion for helping the youth succeed in an evermore challenging environment. “Having been the independent accountant for the charity for a number of years, I am now delighted to be a trustee and someone who can help shape the future of this amazing organization”. 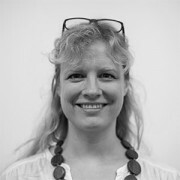 Naomi brings to the Board fourteen years of senior fundraising management experience – mainly within inner London charities focusing on youth and community development. She was a co-founder of SouthWestFest (South Westminster’s largest community festival), along with Graham Whitlock, and has admired the work of Dream Arts for many years. Ian has a senior post at the Palace of Westminster. 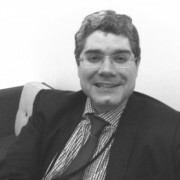 Ian has also been Trustee of Volunteer Centre Westminster and helped oversee its merger with Voluntary Action Westminster to form One Westminster which is now the umbrella agency for volunteering and voluntary organisations in the borough. ‘DreamArts has given me the opportunity to help the community around my place of work. I was impressed by the range of arts that young people were able to access and the encouragement and support they receive and the impact that has on their confidence. I benefited from being involved in music when I was growing up and I want to be able to give something back so that young people today can have the same opportunities I benefited from’. ‘I feel that both my therapeutic experience and music industry experience would be beneficial to DreamArts and love the opportunity to be part of such an inspiring company and give young people opportunities to flourish and tell their stories’. Jodie Dalmeda is a Media and Celebrity Ambassador Engagement Consultant. She has a wealth of experience working with non-profits such as Greenpeace, Oxfam, The Rush Arts Philanthropic Foundation and the United Nations, and global brands in entertainment (MTV, Sony Music, BMG, Orange) documentary film (Virunga, The Price of Kings) and fashion (Top Shop, Moschino), engaging high profile brand ambassadors and delivering innovative media strategies. Previously Jodie worked for Sir Richard Branson’s Virgin Foundation, Virgin Unite, as Head of Media and Artist Management and was formerly Head of Press at Sony Music. 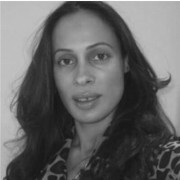 Passionate about people and culture she is a Fellow of the Royal Society of Arts and Specialist Business Advisor for The Prince’s Trust. 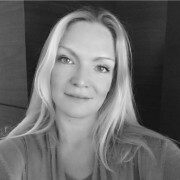 I have worked in the City of London for over 15 years in a variety of international business development roles. Prior to this professional experience I also received formal theatrical training at the prestigious Cours Florent in Paris. I have balanced a busy career in financial services with occasional stage performance through the years by participating in several hedge fund charity concerts as lead singer of rock bands made up of industry counterparts. I was delighted to discover the work that DreamArts undertakes in Westminster as I know firsthand the significant impact that an artistic outlet can have on children’s confidence and development particularly when they are faced a challenging home or school environment. I joined DreamArts at a pivotal time as public funding of arts programmes has become more challenging than ever. In joining the Board of DreamArts I aim to raise their profile within my industry to ensure that they are able to continue to do the very important work they do for this small community. Polly is Global Director of Publishing at Christie’s, and is part of the Corporate Social Responsibility (CSR) team who have been supporting DreamArts. Polly is a school governor and is committed to improving opportunities for children and young people. Founding member of Apple University Jeffrey was involved in executing Steve Jobs’ vision to develop and prepare the next generation of leaders at Apple. Jeffrey is the Head of Learning and Development at Christie’s and based in London, having joined in June of 2016. 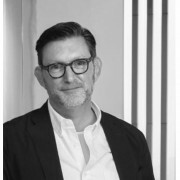 Prior to Christie’s, Jeffrey worked for Fast Retailing in Tokyo as the Chief Learning Officer, where he worked on an effort to transform their L&D function. Jeffrey also worked for 14 years in the retail sector, including eight years with Gap, Inc., in management and in L&D. Jeffrey is a seasoned organizational development consultant specializing in the areas of leadership, change management and strategy. He also has a history of performance and involvement in opera and musical theatre and is thrilled to support DreamArts and programmes that help young people find their true potential through performance arts. The arts can change lives. DreamArts demonstrates this time and again. Since 1999 our outreach projects have supported thousands of young people. Our work grew out of a transformative arts programme run by Liz York at Pimlico Youth Project in the ’80s and ’90s. A student at Pimlico School, Graham Whitlock, benefited from Liz’s work, and after graduating helped Liz set up a charity to take her work across Westminster. They named the charity DreamArts. When Liz lost her battle with cancer in 1998, Graham took on building DreamArts to fulfil her vision of offering young people across Westminster the chance to creatively express themselves. Nowhere is London’s division of wealth and poverty clearer than in Westminster, where in some wards 78% of children live in poverty. They may have the West End on their doorstep, but very few benefit from living at the heart of the UK’s creative industries. DreamArts builds bridges for children and young people, empowering them to twice present their own musicals at The Royal Opera House; run national award-winning online campaigns; and display their achievements to their local community. Partnerships play an important role in supporting our work and giving our members access to state-of-the-art facilities and experienced creatives. Every year DreamArts makes a genuine difference to the lives of over 300+ young people. Help us continue by supporting our work with your time, talent, contacts or spare cash.